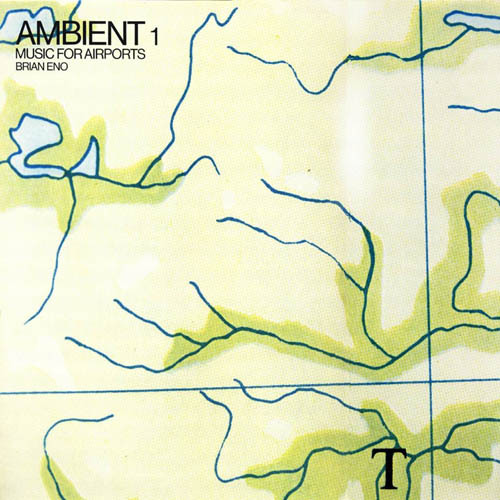 kidslooklikekats: Brian Eno: "Ambient 1: Music For Airports". The perfect contrast to a busy, claustrophobic airport experience. There is no sense of urgency here; there are no queues, no angry customers disputing layovers and delays. What a delightful inconsistancy inherent in the so-called birth album of ambient music. We're floating...we're floating and falling, and nothing really seems to matter. There is also a very real sense of despair that clings to the bare and brittle drones, and leaves you reminiscent and thankful, simultaneously. If nature was a musician, this would be its masterpiece.